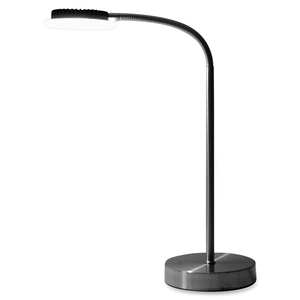 Innovative LED lamp design features two built-in USB ports to charge your electronic devices. 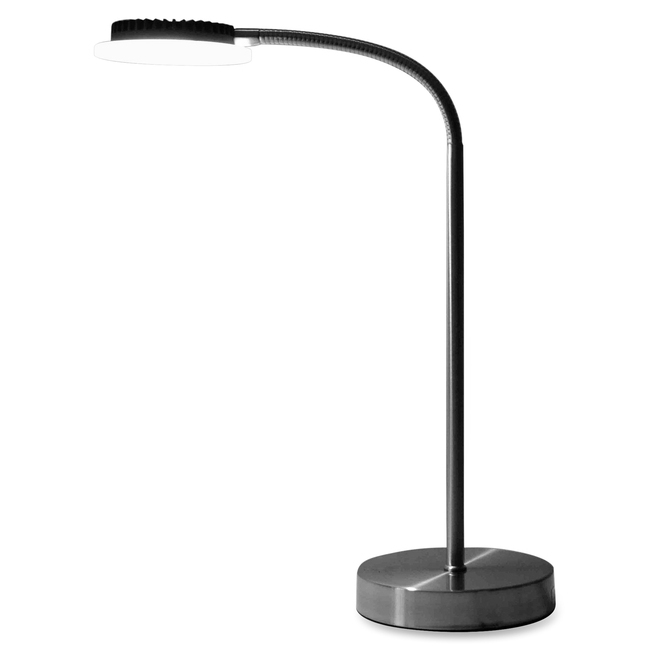 Gooseneck styling directs light where you need it. 40,000-hour rating on the included bulb means no bulbs to replace. 8-watt power usage saves electrical costs. Design also features a sand nickel finish with acrylic accents. Height extends up to 18-1/2".